Tobacco giant Philip Morris has been ordered to pay the Australian Government millions of dollars in legal costs, after its failed bid to kill off plain packaging. Australia’s plain packaging tobacco laws are some of the toughest in the world, and when they were introduced by the Federal Government in 2012, the big cigarette companies did not take them lightly. The battle ended up in Australia’s High Court. When its Australian bid against the laws failed, Phillip Morris mounted further legal challenges in the Permanent Court of Arbitration in Singapore, relying on international laws. The company mounted one of its challenges pursuant to a provision in a Hong Kong-Australia investment treaty. 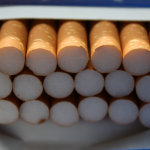 It claimed plain packaging laws breached the agreement and should therefore be scrapped, or that, alternatively, the company should be awarded damages to the tune of $US 2.4billion. But the case was dismissed in 2015 after the tribunal ruled it had no jurisdiction to hear the claim. Now, Phillip Morris has been ordered to foot the hefty bill that the Australian Government racked up defending itself. While the Government will not confirm the total amount of its legal costs, there are estimates putting it at $50 million – a combination of fees for the Government’s own lawyers, as well as outside counsel, expert reports and witnesses, plus travel and accommodation expenses. Canada claimed a relatively poultry $US4.5m and the United States $US3m in similar tobacco disputes, and Phillip Morris pointed to this in its unsuccessful argument that the Australian Government’s claim was manifestly excessive. The case has put investor-state dispute settlement clauses firmly in the spotlight. These clauses purport to allow foreign corporations to sue governments for expropriation, and were recently included in Australia’s trade deals with both China and Korea. The case has also renewed debate about whether plain packaging laws meet their stated objective of reducing smoking, especially amongst young adults. The consensus was that the initial impact of the initiative was unsuccessful. Tobacco companies actually lowered their prices when they could no longer compete at a branding level, and figures suggest that Australian rates of smoking rose by 6 percent in the first year of plain packaging. It wasn’t until the 12.5 percent tax hikes began that numbers began to drop off again. The price of cigarettes in Australia is amongst the highest in the world. 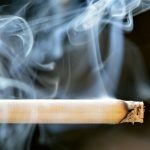 The fact that the average packet of smokes now costs around $30, and that there are very few places that you are actually permitted to smoke, has had more of an effect on the recent decline in smoking than plain packaging. Only 13% of the Australian population are now regular smokers, although rates amongst Aboriginal and Torres Strait Islanders are much higher at around 50%. 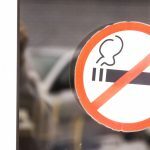 In New South Wales, smoking is banned in all indoor public places, along with swimming pools, public transport stops and within four metres of the pedestrian access points to buildings. Commercial outdoor dining areas are also smoke-free. Police can issue on the spot fines of $300 to those who break the rules. Council Rangers are also empowered to enforce the bans, and can issue fines of $110. The higher taxes on tobacco and the revenue from fines is supposed to be used to keep smoking rates in decline. 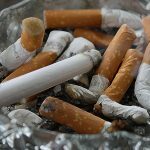 However, the Government has admitted spending less on education and health campaigns related to the dangers of smoking than it did prior to the introduction of plain packaging. It claims the extra funding is going towards enforcing the rules instead. Because tobacco is highly addictive, a market has developed enabling users to get their fix cheaper. Since October 2015, a specialised Tobacco Strike Force working with our Border Protection teams, has seized many tonnes of illegal tobacco and millions of illegal cigarettes. 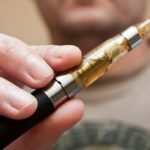 Smoking e-cigarettes is becoming a popular alternative to smoking, but there’s some confusion about whether they are actually legal too. In Australia laws differ from state to state. 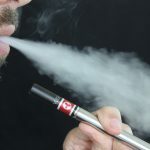 For more information on e-cigarettes, read our previous blog.